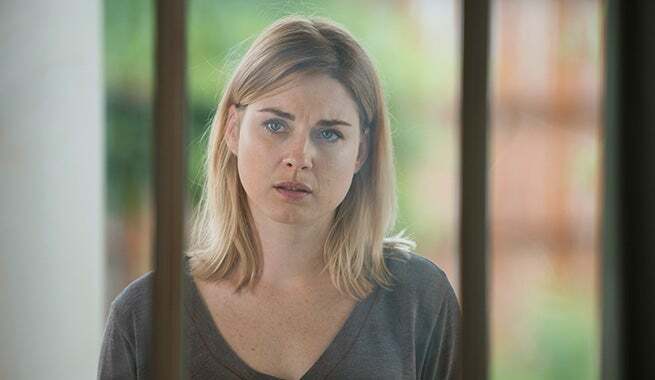 AMC has released new photos for next week's episode of The Walking Dead, titled, "Now." Based on the synopsis, the show may finally slow down following the non-stop, suffocating first three episodes of season six and tonight's Morgan flashback episode. Now's synopsis reads, "Following a number of setbacks, the mood in Alexandria grows grim for the sheltered citizens." Based on the photos released by AMC, galleried below, there will be zombies and Jessie Anderson! It will be interesting to see her reaction to killing a Wolf in episode two. The Walking Dead airs Sundays at 9 PM ET on AMC.